Almost six years ago, when I was the Editor of the Hull Daily Mail, I received an off-the-record briefing about Siemens’ plans to invest in a major manufacturing facility in Hull. There had been rumours that Hull was being seriously considered for the investment, but no public confirmation. I was aware negotiations were at an acutely sensitive stage and Hull’s biggest-ever regeneration project was at stake. I was grateful for the in-depth briefing with Siemens’ executive Dan McGrail, who was leading the project at the time; Matt Jukes, then the Hull Port Director for Associated British Ports; and Carl Minns, the then Leader of Hull City Council. I was also happy to give a commitment that the Hull Daily Mail would not make the plans public until the negotiations become a more formal agreement. It was a huge story, but the desire to break the news was secondary to ensuring premature publicity did not scupper the deal. It meant the Hull Daily Mail played its part in helping to secure a transformational investment for Hull as well as having a major exclusive on the deal when the memorandum of understanding for Siemens to come to Hull was signed. I was very proud indeed of the special edition of the newspaper announcing Siemens had chosen Hull. I am also very proud that, for almost two years, I have been Siemens’ local media and communications representative for the Hull project. 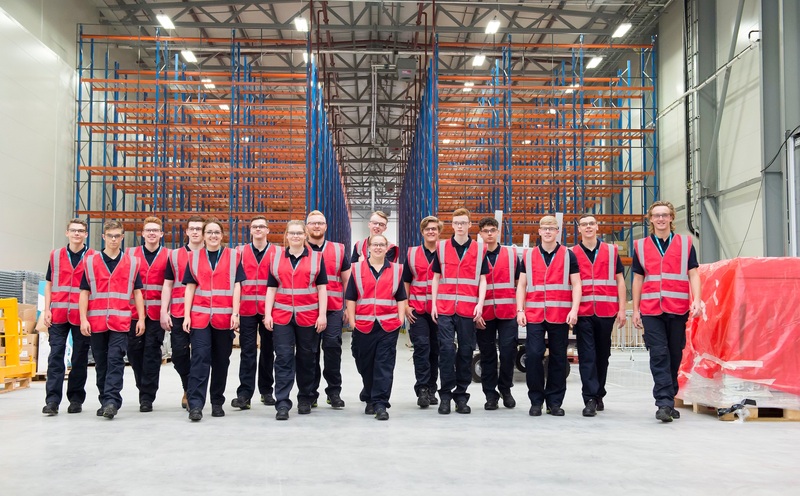 In that capacity, there was another milestone moment this week, when I organised a media call for the first visit to the massive new Siemens wind turbine blade factory in Hull by the company’s first intake of apprentices in the city. Sixteen young people, all from Hull and the East Riding, were astonished by the sheer size and scale of their new workplace. It was clearly a huge day for the young people, but also a symbolic one for Siemens and the city of Hull, as the media call and the resulting coverage illustrated perfectly the impact of this game-changing investment. The young people beginning an exciting new chapter in their lives, eager to learn new skills and play their part in an exciting new industry for the UK, tell the Siemens Hull story perfectly. It’s a story of huge investment, creating local jobs, local skills and a wealth of opportunity for the city of Hull and its people. It’s a story that it has been my privilege and pleasure to help to tell.